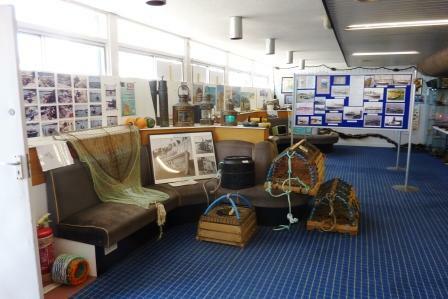 The new Fishing and Maritime Museum stands on the far side of the Harbour from Folkestone Town, near to the old Harbour Railway Station. It is currently surrounded by building work as the new cycle and walkway is being completed over the arches and along the old railway line and Harbour Outer Arm. The Station too is being renovated and the seashore beyond, on the Sandgate side, is being developed. 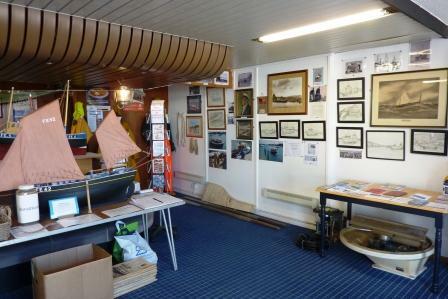 Inside the museum a pleasant surprise awaits anyone interested in the fishing and maritime history of the town. 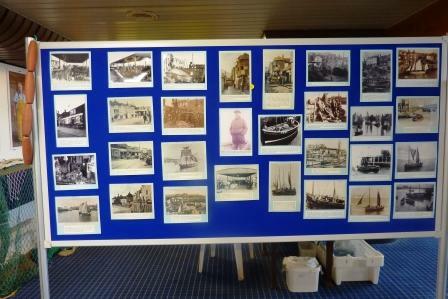 There are some excellent displays of photographs of bygone Fishing Fleets, Lifeboats, Cross Channel Ferries and Inhabitants of the Town. It is well worth a visit. 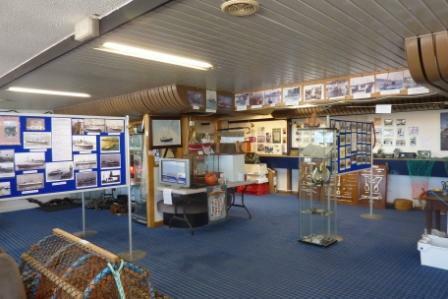 Here is a taste of the displays on offer this Summer 2017.